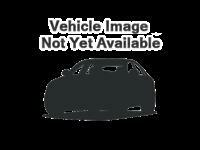 This 2019 BMW 4 Series comes with AWD/all-wheel drive, black Leather, Active Blind Spot Detection, AM/FM radio: SiriusXM, Apple CarPlay Compatibility, Convenience Package, Fully automatic headlights, harman/kardon Surround Sound System, Heated Front Seats, Heated Rear Seats, Lumbar Support, Memory seat, Navigation System/GPS, Power Front Seats, Power Liftgate, Power moonroof/sunroof, Rain sensing wipers, Remote keyless entry, SensaTec Upholstery, Split folding rear seat, Sport Seats, Steering wheel mounted audio controls. 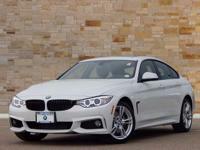 Comes standard with BMW Factory 4 year/50,000 Mile Warranty and 3 year/36,000 mile Maintenance Program. Talk to a Co's Client Advisor for full details. At Co's BMW Center, we are setting the standard for future retail. 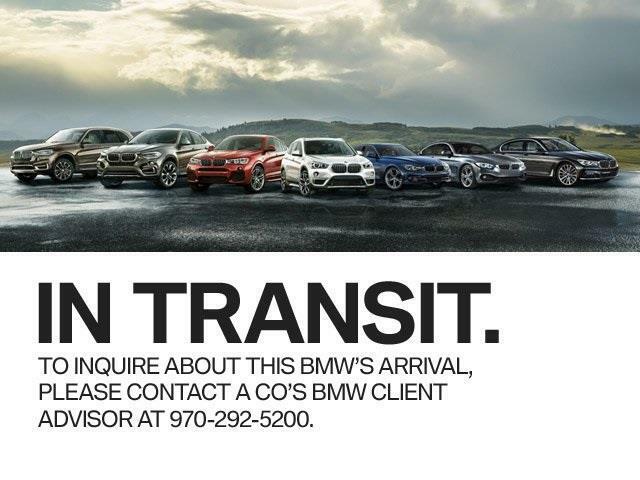 Through our comfortable sales environment, and our team of knowledgeable, courteous client advisors, we make it easy to find the BMW of your Dreams. 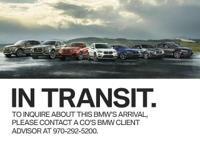 At Co's BMW, the future of luxury is here. Just a short drive on I-25.